When we experience systematic and political failure, human interest stories are what give us hope. More than that, what we realize is that power and innovation from the people is how communities are actually created, and cities rise in strength. Traditionally food has served as the origin of culture, ethnicity, heritage, race, tradition, and religion. Food is an offering of the most primal human experience. People turn up in an effort to tend food, harvest, prepare, and dine on it together; to savor the journey from farm to table, and the stories that brought everyone to that point of nourishment for the body and soul. After landing in the Detroit, Kat and I headed over to North Corktown where the Pink Flamingo is located. 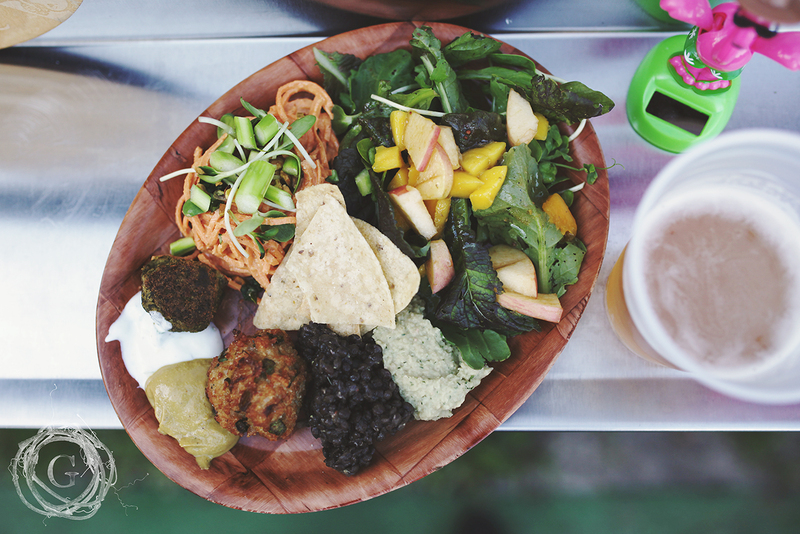 Only serving food on Thursdays from 6-10pm in a pop up restaurant style, we got there early to talk with idea generators, entrepreneurs, and Guerrilla Food Owners, Meiko and Kiley, before the crush of people came. 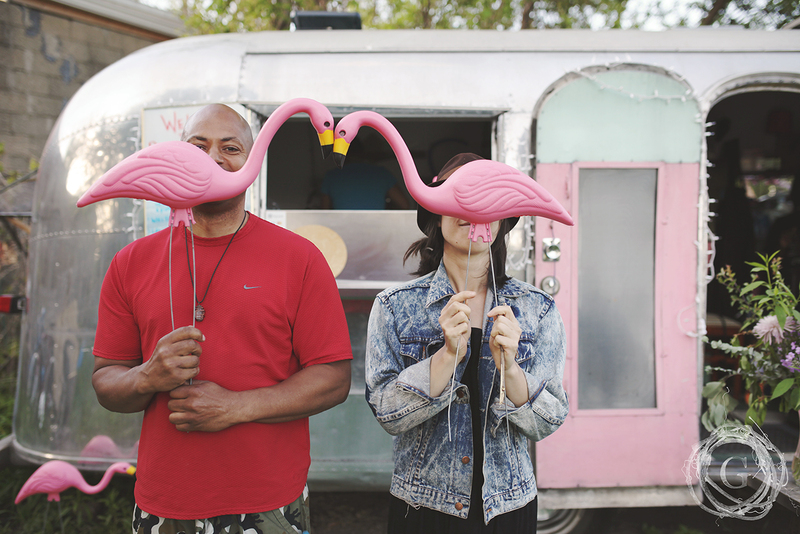 Surrounded by empty lots, forgotten buildings, and worn down complexes, the Pink Flamingo sits in a location where a community of people rise up every week. 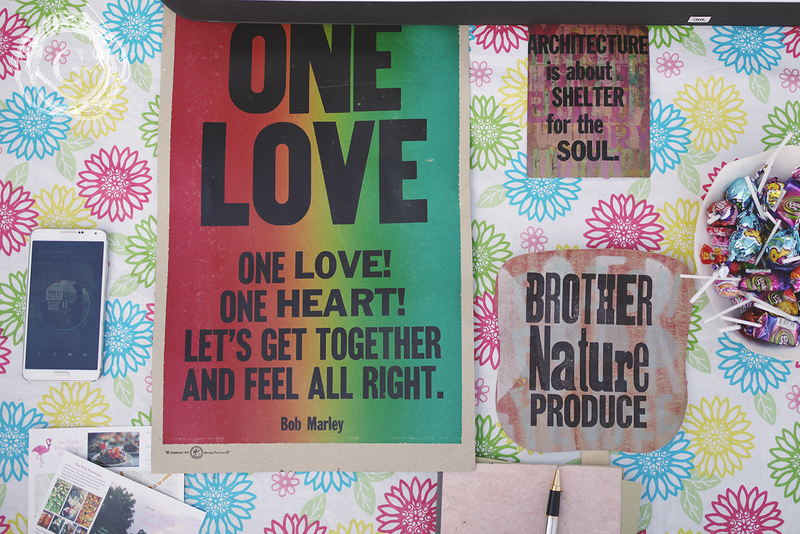 A colorful intentional space created to bring people together and provide a feeling of warmth and welcome. The smells and sounds and color of the food draw you in, the bursting flavors make it impossible to leave, and the people gathered around the table are the reason you come back. Guerilla food and Pink Flamingo are centered around “How do we get back to being human?” Being in the earth brings us back to our humanity. In a city that feels desolate and isolated, Meiko knows that the last thing people in poverty need is their home being taken away. Being displaced breaks the connection to each other and the earth. Yet this is a powerful reality for many in Detroit. Binding together is a core purpose of those left in need. Relying on one another is how communities are transformed and rebuilt. So this couple is transforming empty space into growing space to help provide for those left behind. It’s not simply about a garden, but a community garden where every neighbor contributes and enjoys the reward. It’s where forgotten land is repurposed to breath life into a barren space. It is a platform to bring new energy to a tired city who has been struggling so long for survival. It’s about good food that heals our body and soul that suffers from an over-processed diet. The food is multicultural boasting a wide pallet of flavor and language. Meiko herself is a blend of Korean American, Italian and Polish. Where others might enjoy variety in their food, it is in the very essence of how Meiko views the world and the table that brings people together. Though Kiley enjoys cooking and gardening and is an intricate piece creating the space and running the business, the unique blends found in the menu are inspired by Meiko. Meiko and Kiley are a dynamic love story. Love for each other. Love for good food. Love for health and healing. Love for Detroit. Kiley was born and raised in Detroit, while volunteering with an intentional community is what brought Meiko there. It was in the familiar streets of the city that they found each other. They speak with passionate intelligence about restoration and revolution within the food industry and the city limits. Each bringing their own strengths to the table, the pair runs this multifaceted business with more dreams for future. 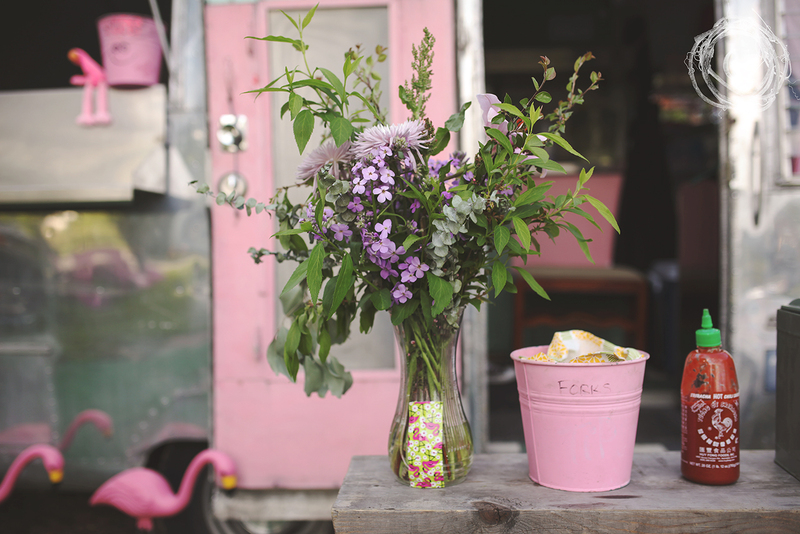 Already catering, gardening, cooking and running the Pink Flamingo, they have visions for more food trailers, a holistic healing center with massage and yoga, cooking classes and so much more. Their quest is one of justice and healing through the potent pallet of garden fresh food. For all the ways that folks talk about what it takes to rebuild a community–in this case a city–these two don’t stop at ideas. Meiko and Kiley have their skin in the game, being a part of a community on the eastside of Detroit, while running The Pink Flamingo in the community garden on Vermont Street between Temple and Spruce in North Corktown. When you go to enjoy dinner one Thursday night, and YOU MUST, you will bear witness to the depth of dedication these two have for this city and people they love. Kat and I had planned to stay an hour. After 2 1/2 we realized how late we were for the next Detroit adventure we were scheduled to have! Sitting with Meiko and Kiley, feasting on sweet potato noodles with miso-chipotle sauce, rice balls, green salad, and herb-pistachio falafel, time seemed to stand still, but our conversation only impassioned us and ignited in us a renewed desire to know more. To learn about this beautiful city Detroit. To grow in our understanding of food policy, community commitment, and economic and systemic stability through the lens of people power and government. I could have stayed all night. I never wanted to leave. 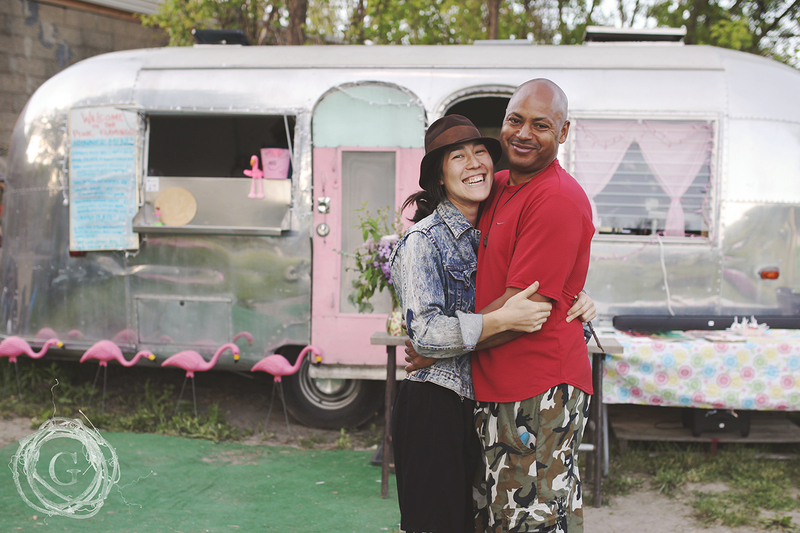 The food was addicting, Meiko and Kiley enchanting, and their passion contagious. Guys, seriously. You must go. You will miss out on the magic and knowing that by going you were apart what is rebuilding a city we love. Meiko and Kiley and to the rest of your crew, Thank you from the bottom of our hearts. We are in love with what you are doing. Keep going. Keep dreaming and formulating plans to make them happen. You are an inspiration to us, and all I keep thinking is, “How do I include these truths and principles into the community I also live in?” Thank you.